Trading the news is a great strategy, and it doesn’t matter if you’re a beginner or a pro. It’s a powerful strategy, and it’s been proven to be profitable time after time. Learning how to use it effectively for your own purposes is going to be a helpful short term trading strategy, and for beginner binary options traders, it is often one of the best places to start, depending upon your background. Regardless, knowing how to use it right will only help you to find more money making opportunities. This makes it more than worthwhile for you to know. The way that news trading works is extremely simple. Whenever a company makes an announcement, or any announcement is made concerning that company, the markets react in certain manners. Nothing neutral can ever really happen; an announcement will move prices up or down. However, you will find that sometimes these news events have bigger impacts than others. And sometimes, the expectations that you might have will never happen. This is why experience is so important to your success. The more you observe events and watch how they impact market movement, the better able you will be when it comes time to determine how future events will play out. This works in stocks with publicly traded companies, the indices that summarize large groups of companies, currencies in the Forex marketplace, and even with globally traded commodities. This strategy works well in the binary options market simply because most binary options have a focus on the ultra short term. Some brokers go as short as 30 seconds, but most will stop at 60 seconds. This is a great way to string together a strategy that allows you to use the news for multiple correct trades and make an even bigger profit than before. Binaries allow you to intentionally and deliberately make your trades short without worrying about keeping them open too long and without placing extra fees on yourself by specializing your orders. 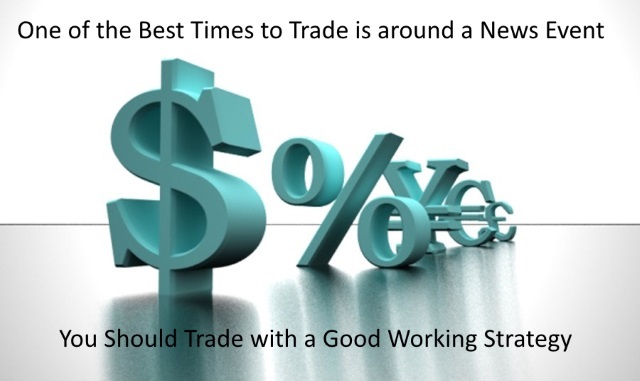 If you think it will take 5 minutes for the news to kick in and influence your trade, a 5 minute option is the right call. If you want to go shorter you can, and the same with the longer timeframes. Again, this is where your experience will help you make the right call. Just remember that different types of assets will react in different ways, and different timeframes are more helpful in certain situations. The more you practice, and the better your note taking is on your observation and trading history, the better you will be able to predict how the assets you trade in the future will respond when news or announcements occur. Practicing news trading is a good idea. Some sites have demo trading accounts that you can use in order to give you zero risk practice using their software. Each site is a bit different in their terms for this, so contact customer service at your broker if this interests you. You don’t need to trade the news with just binary options. They have certain characteristics that allow them to be one of the more profitable tools for this type of trading, but you can profit anywhere with this under certain conditions. The downside is that you will usually need to front more money to make this happen since most other types of brokers will not allow you to profit a flat rate off of small movement in an asset’s price. How you trade is up to you, just be aware of the resources that you have at your disposal and use the ones that will create the highest profit rate for you.